2 Who is Bull Nandi? 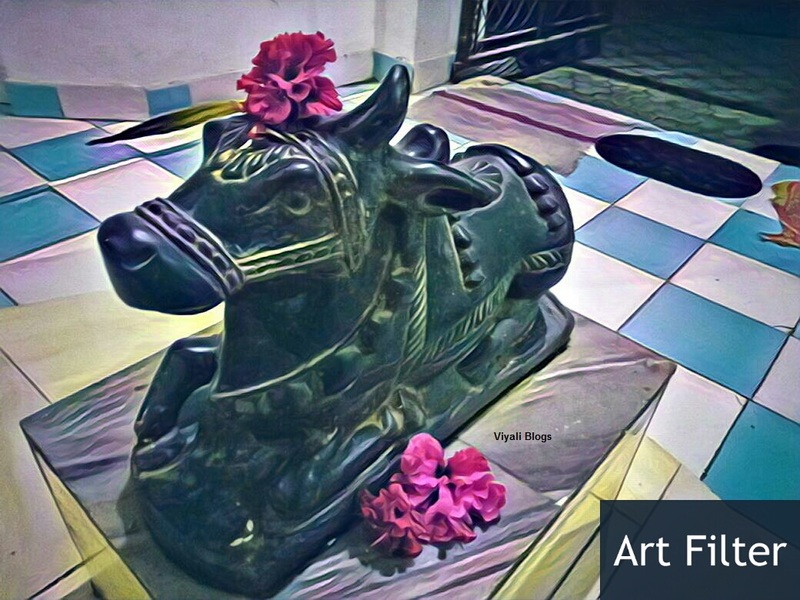 The significance of Nandi bull is that If humans ever idolize representation of vairagya, faith, devotion, that will be the statue of Nandi Bull. In this post, we have described the significance of the Nandi bull. Therefore, this post will explore all the aspects of Shiva's bull, Nandi and why Nandi is too dear to Lord of Lords. In Sanskrit, the term Nandi defines eternal joy, happiness, and inner peace. Bull Nandi is an integral part of Shiva personification. There is no match for Nandi's devotion for Shiva; he is the vehicle of great Lord. Bull Nandi is the exemplification of a few things. Bull Nandi is white in color and regarded as one of the selfless devotees of Bholenath. Nandi is a meditative bull who admires and follows all the qualities of Lord Shiva. He has a bell on his neck. Nandi lives in the mount Kailash abode of Shiva where he serves Shiva with his full heart. Shiva understands the reverence of Nandi for him. It is the reason Shiva has given special place to Nandi on Kailash Parvat. Bull Nandi is the loving bull of Mahakal who is fast and powerful. Shiva's bull Nandi can take complete bull guise or semi-human form according to his wish. Whenever Shiva devotees seek helps from Vishnu Vallbha Shiva, Nandi is always the first one who comes in mystical form to help Bhootnath devotees. Shiva is the superpowerful and primary form of divine entity in Sanatana Dharma who is known for his Simplicity and Vairagya. Lord Shiva is Vairagi in nature; he requires a vehicle strong enough to handle the dispassion and Rudra form. In Indian societies, Bull is always a paradigm of courage, valor, and dispassion who hardly stays in families cattle dimension. Bulls like to grazes freely, and Nandi Bull is perfect for Shiva Vahana (vehicle). Demon king Ravana is regarded as one of the greatest devotees of Lord Shiva, but Nandi place is too high in comparison to Ravana. Nandi is the gatekeeper of mount Kailash on behalf of Lord Shiva. Nandi is also one of the disciples of Shiva, Nandi took all the necessary knowledge from Shiva hence he follows all the teaching of Lord Shiva. Shiva taught him all the war art and skills. Time to time various warriors trained by Nandi for war preparation. Once upon a time, there was a farmer named Shilada. He was a devotee of Shiva. Every day he used to meditate upon Lord Shiva. One day sage realized that there is no one else in his family who could lead his name because he didn't have any children. Shilada decides to perform austerity upon Shiva. By seeing his efforts and reverence, Shiva appears in front of him. Shilada was very happy and had an ecstatic feeling of seeing Lord Shiva. Shilada - "Oh my Lord. I wish to have a Son." Shiva grants Shilada's wish and disappears. Next day Shilada founds a Son in his farms while plowing fields. Shilada raises the son as the boon of Shiva. He names him Nandi. When he grew younger; he started taking care of his father and his farms. From an early age, Nandi had great reverence for Shiva. One day, Son and father invited two sages, Mitra and Varuna to their home. They organized a feast for them. When sages saw the forehead of Nandi; they felt depressed. Shilada noticed the immediate change on their faces. In private, he enquired about the reason for sages stress. Both sages revealed that your son Nandi is the short-age boy. Soon your son Nandi will leave this world. That made sad to Shilada. When he returned home, Nandi asked the reason for his sadness. After knowing about the death projections; Nandi calms down his father. Nandi replies to his father that Birth and death are under Shiva's control and he has full faith in Shiva. Nandi takes permission from his father to perform austerity upon Shiva and reaches to the bank of the river Bhuvana. He enters in the mid of the river for his austerity upon Shiva. Water was cold, but Nandi faith was genuine for Shiva. Nandi performed the difficult penance for many years. Shiva appears in front of Nandi and asks. Shiva - "What boon do you seek from me, Nandi?" Nandi - "Oh my great Lord, I want to stay with you always." Shiva smiles and gives his consent to Nandi for letting him stay in Kailash as his vehicle, friend, and devotee. Nandi started taking care of Kailash; he was taking the responsibilities of Shiva's abode. In that era, goddess Shakti took incarnation in Daksha's house as Daksha daughter Sati. Nandi witnessed Shiva's agony which no one ever saw. Therefore, Nandi discussed Shiva's hidden sorrow with his fellow Ganas, but nobody took his view seriously. That realization made Nandi Sad. Shiva is like a father to him, he always observed silence of Kailash. That silence of Kailash made Nandi restless many times. Bull discussed the issue with sage Narada. Narad told two things to Nandi. Firstly, Narda informed Nandi about Shiva's separation with Shakti that happened at the time of universe creation. So that world could come into existence. Secondly, Narda informed Nandi about the birth of AdiShakti as Goddess Sati, the daughter of Daksha. Nandi starts supporting Sati so that she could get married to Shankara, but Shiva ignores the love of Sati. One day Nandi collects strength to convince Shiva about goddess Sati, but Shiva scolds him. Shiva - "Nandi what will you do if ever you had to get apart from me?" Nandi starts weeping and seeks apologies to Shiva. Next day Nandi's father Shilada reaches to Kailash and shares his trouble in handling farm alone and request Shiva to take Nandi to get back home. Shiva calls Nandi and gives permission to Shilada to take Nandi with him, whereas Nandi refuses to return home. Finally, Nandi was forced by his father to returns home. Few days get passed, Shiva was meditating, and gans were feeling depressed after Nandi departure from Kailash. After a few days, Shilada comes running and falls down to the feet of Shiva. He requests Shiva to take Nandi back to Kailash. Shiva opens his eyes from meditation and makes Shilada stand up on his feet. Shilada tells Shiva that Nandi is not taking any interest in anything. Shilada - " Neither he is sleeping nor completely awake. I don't know how to handle him, he will die, my lord, if he stays there. Please take him back to Kailash in your service as doorman my Lord. Otherwise, he will stop living. " Shiva gives his consent to take Nandi Back to Kailash. Shiva appears to Shilada farms, Nandi was sitting over a rock unconscious. Shiva takes the name of Nandi. Nandi moves immediately to the feet of Shiva and speaks nothing. Shiva - "Are you angry at me, Nandi?" Nandi - "No my Lord, Never." A few teardrops come from Nandi eyes and fall on Shiva's feet. Shiva - "Enough rest you have done here; Nandi time to get back to Home Kailash but before that Today I want to bless another boon to you. Whenever my any devotee will say anything in your ears their prayers will reach to me immediately. " Nandi gets 's blessed and returns to Kailash. 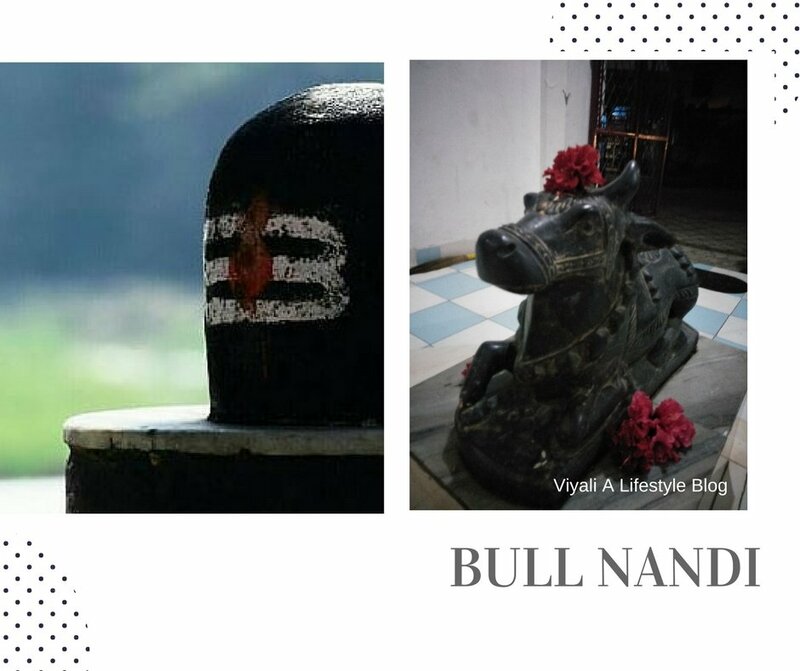 In this post, we have shared the significance of Nandi bull.